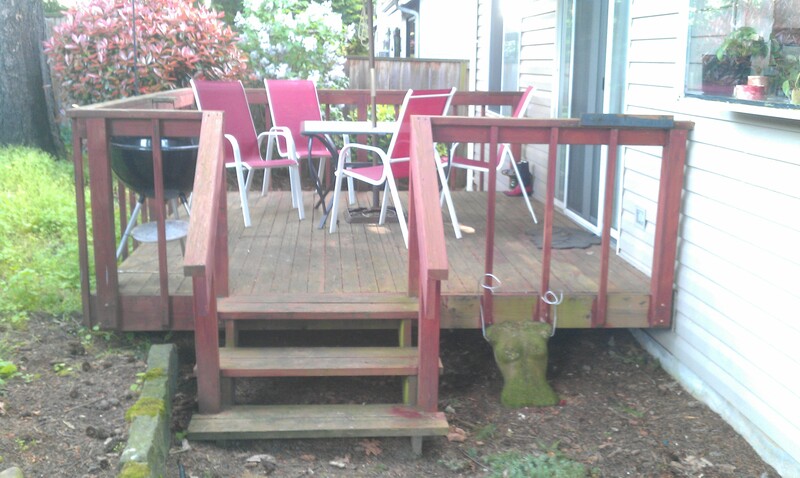 Inspect your deck and other wood structures yearly, Unnoticed rotting wood leads to a more costly repair. 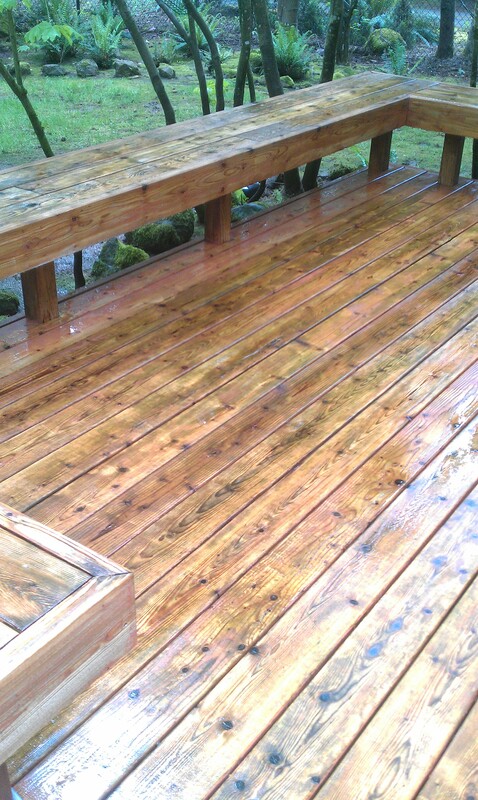 A good oil-based stain will last 2-3 years depending on wear. A rinse with the hose to get all stuck debri out from between the boards. A soft brush can help in the cleaning process. Clean deck is a healthy deck. 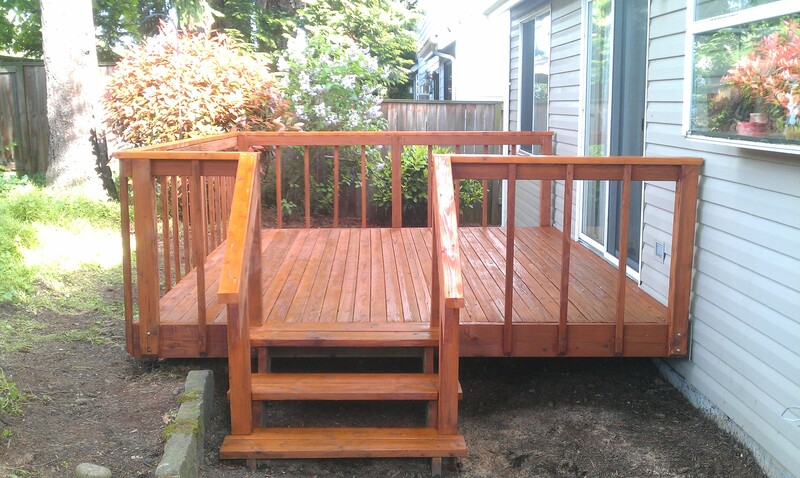 Regular maintenance is recommended for any wood used on the exterior of a structure. 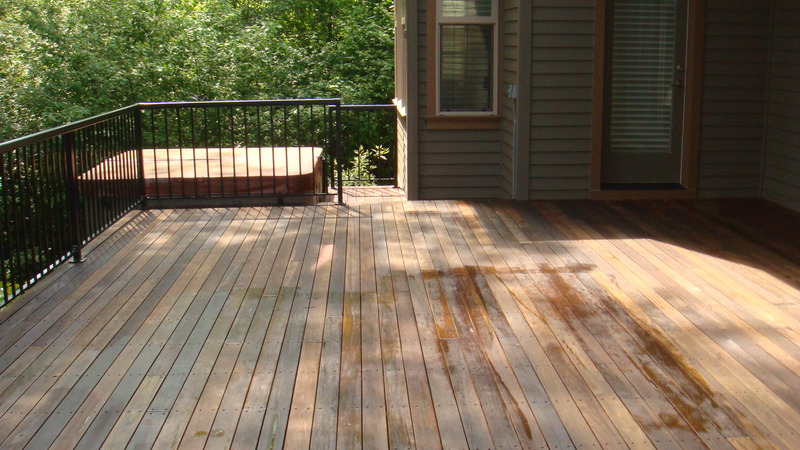 Decks are especially vulnerable, due to standing water and short exposure to sun light. When the matter is beyond a simple wash and scrub, call our expert to the rescue. 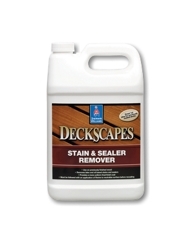 DeckScapes® Stain and Sealer Remover is a great first step for previously coated decks. It removes weathered latex stains, oil-based stains,toners, clear finishes and some solid color stains. 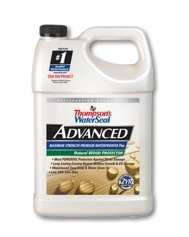 Specially formulated for wood, Thompson’s® WaterSeal® Advanced Natural Wood Protector provides one-coat maximum strength protection with a coating that resists mildew and UV damage, allowing your wood to maintain its natural color. With a patented formula, this advanced waterproofer enables you to clean and treat in one day and to apply immediately to new pressure-treated wood.